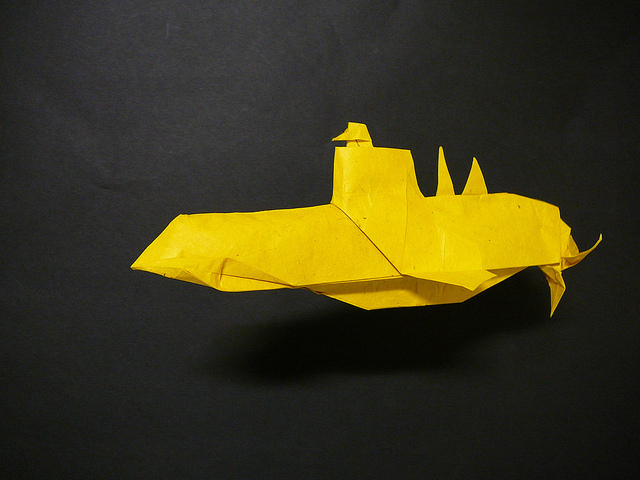 Tony Abbott wants a Japanese submarine. To repeat: Australia’s Prime Minister really wants a Japanese boat. If Australia hadn’t embarked on a ‘competitive evaluation process’ pitting Japan against France and Germany, this hack would argue that the PM is committed to the Japanese sub. Politicians ultimately make the big procurement decisions in this town. 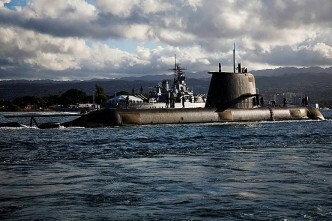 And Canberra’s top politician has profoundly shifted the terms of the submarine discussion. The uncomfortable yet sturdy bipartisan consensus on building Oz submarines that has ruled since the 1980s has been torpedoed by Abbott. This is quite an achievement for a Prime Minister who is having trouble making his wishes stick in most areas. See how far Abbott has pushed the submarine decision towards Japan by considering what Australia’s submarine choice would look like today if the Coalition hadn’t won the 2013 election. In this parallel universe, Kevin Rudd uses the Men in Black memory eraser ‘neuralyzer’ on the Oz voters so they forget the previous six years. Then, Kevin runs a blinder of a campaign utilising every advantage of being incumbent PM and just scrapes home. The resurrected Rudd government would be steering the submarine course set out in Labor’s 2009 and 2013 Defence White Papers. Japan wouldn’t have surfaced. There’d be no Option J. 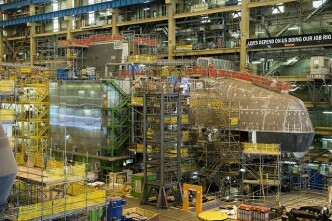 No Japanese submarine in the running. Repeat, no Japanese submarine even in the field. Much less the PM’s favourite. Tony Abbott has shifted the game by embracing Shinzo Abe and making a Japanese sub a centrepiece of that relationship. Ironically, the deep political damage Abbott has suffered at the hands of his own party might just strengthen his hold on defence and this biggest of big acquisition projects. Abbott is a much reduced leader after the near-disaster in the Liberal Party room in February. The PM scrambled to survive a Party revolt and a leadership spill when he faced no formal challenger. In the caucus contest against an empty chair, Abbott just defeated the empty chair. Abbott has to rebuild his authority as much as he has to rebuild his government. Defence, however, is a rare area where the PM can still have his way. Abbott, like John Howard, is his own Uber Defence Minister. The Liberal Party is used to this as the default setting. And in December the Uber Minister installed a new Defence Minister. Kevin Andrews mightn’t be as avid for a Japanese sub as his predecessor David Johnston, but the Uber Minister still rules. After taking early hits struggling to explain the ‘competitive evaluation process’, Andrews now has a submarine narrative that he can at least speak to, and even argue for. Arriving at an overseas build via Adelaide brings us to the fracturing of the submarine consensus that has bound Labor and Liberal together since the Hawke government and Kim Beazley’s term as Defence Minister. That bipartisan policy is lost at sea. The Japanese boat is as much symptom as cause. 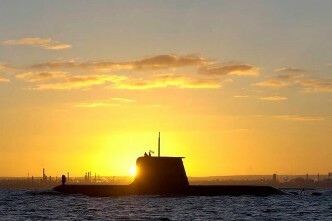 The submarine consensus has been deeply wounded by the Collins headaches and tormented by technical demands at the edge of Australian capabilities. Then there’s the huge fright of that $50 billion price tag. When Labor’s 2013 Defence White Paper embraced Adelaide again as the site to build the Oz sub, taking the off-the-shelf option off the table, the Liberal Party promptly agreed. 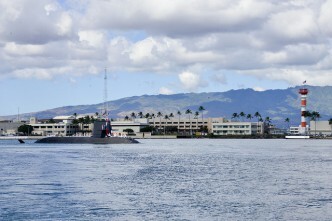 The submarine consensus still ruled and held through the election. The old defence pattern seemed to be holding: Coalition governments set up the aircraft purchases from America while Labor governments did the submarine announcements. Mark that era over. While Andrew Davies and Benjamin Schreer are sanguine that Option J can be made to work, others think Abbott is taking a gamble. On the Option J as just-too-risky side, note a rare moment of agreement between Hugh White and Greg Sheridan. Indeed. 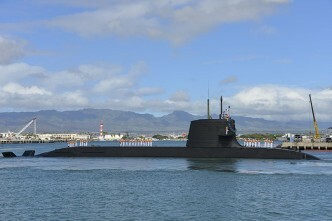 Did I mention that Tony Abbott really wants a Japanese submarine? Graeme Dobell is the ASPI journalist fellow. 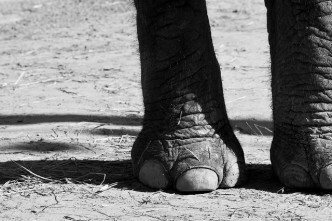 Image courtesy of Flickr user Eve. 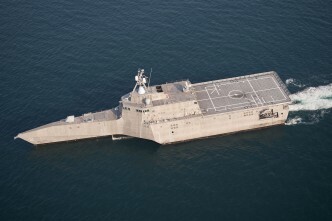 A high-low future surface fleet? Option J—would you like strategic benefits with that?